For the perfect joy ride for all students and working professionals alike, the 2016 Hyundai Elantra is the car you've been waiting for. 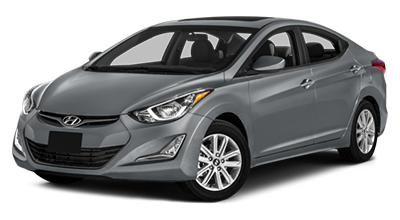 Come to Jim Burke Hyundai for all your amazing Elantra vehicles! Located at 1424 5th Avenue North, Birmingham, AL Jim Burke Hyundai serves Hoover, Tuscaloosa, Talladega, and Jefferson County. The 2016 Hyundai Elantra has more class than the Honda Civic! The MSRP of the 2016 Hyundai Elantra is $17,250 while the MSRP of the Honda Civic is $18,490. The Estimated gas mileage of the Elantra is 27 city / 37 hwy while the gas mileage of the Honda Civic is 28 city / 36 hwy. The Elantra saves you more money! The 2016 Hyundai Elantra comes with a 10-year/ 100,000 Mile powertrain warranty. Other warranties include a 5-year/ 60,000 Mile New Vehicle Limited Warranty, 7-year / unlimited Miles Anti-perforation Warranty, and a 5-year/ unlimited miles 24-hour roadside assistance. 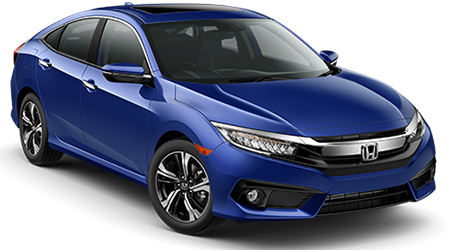 The Honda Civic has a 3-year/36,000 Mile new vehicle limited warranty, a 5-year/60,000-mile Limited Powertrain Warranty, limited warranty for three years or 36,000 miles, and a 5-year / unlimited mile corrosion limited warranty. If you want to choose a car with fantastic features and amenities the 2016 Hyundai Elantra is the way to go! Come to Jim Burke Hyundai today for all your Hyundai needs!